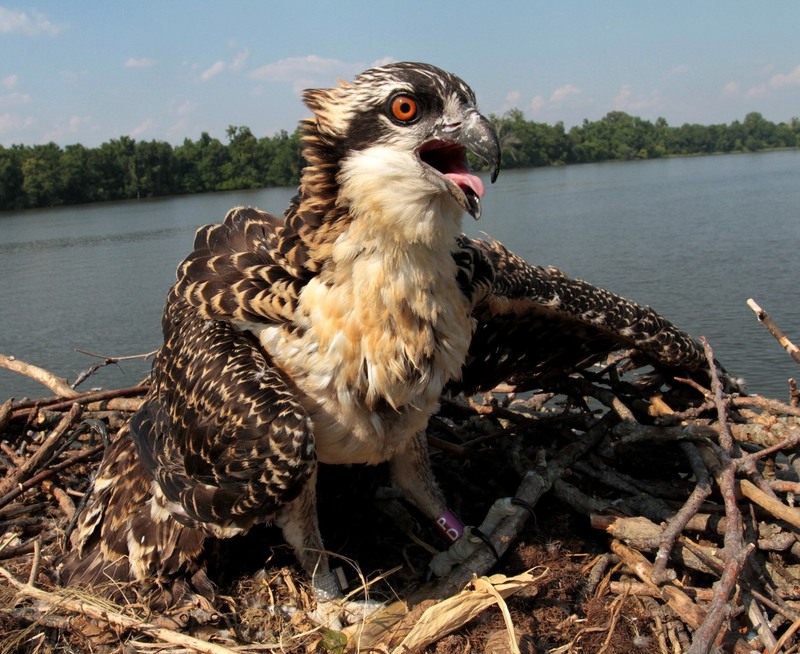 Since returning to breed in late March the osprey population along the upper James River has produced a large crop of chicks. Broods have now reached the ideal banding window between 4 and 7 weeks of age. Beginning this week Bryan Watts, Marian Watts, and students Courtney Turrin, and Jake McClain have been out on the water banding broods. Birds are being banded with standard aluminum USGS bands and purple field-readable bands. Our objective is to band approximately 100 birds per year for the next several years within this study area. Birds returning to breed will be identified and monitored for the next 20 years. Over time, we hope to better understand how the emerging population fits into this historic ecosystem. 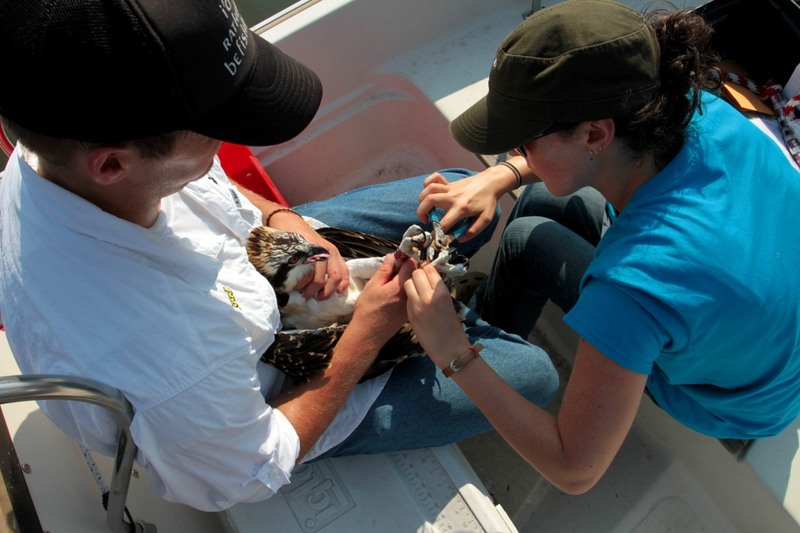 Students at the College of William and Mary band Ospreys as part of a long-term research study. Let the 2013 OspreyWatch Season Begin! 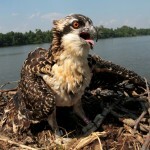 Osprey Nest Cameras – Live!